The MP Select Mini cooling fan, or, why Malyan clearly has no clue what they’re doing. The 3D printers made by Malyan for Monoprice.com are just silly. There, I said it. The Mini Delta takes a lot of work to get good results from, and the Cartesian type Select Mini printers need a lot of mods for stability and reliability. … was that I was getting poor print cooling, leading to things getting slumpy and generally Jacked Up. Object above is part of an improved fan duct to use a 50mm blower. So the stock fan is a mystery wrapped in an enigma of misengineering. It’s a 30mm fan rated for 9vdc. What? Arrggh! If that were a 12v fan you’d have options as to what to use as a direct replacement. With it being 9v, your options are…… whatever sleeve bearing folderol one manufacturer casts on their badly worn injection mold. In all honestly, I broke the fan, but by doing things that should not have broken it. 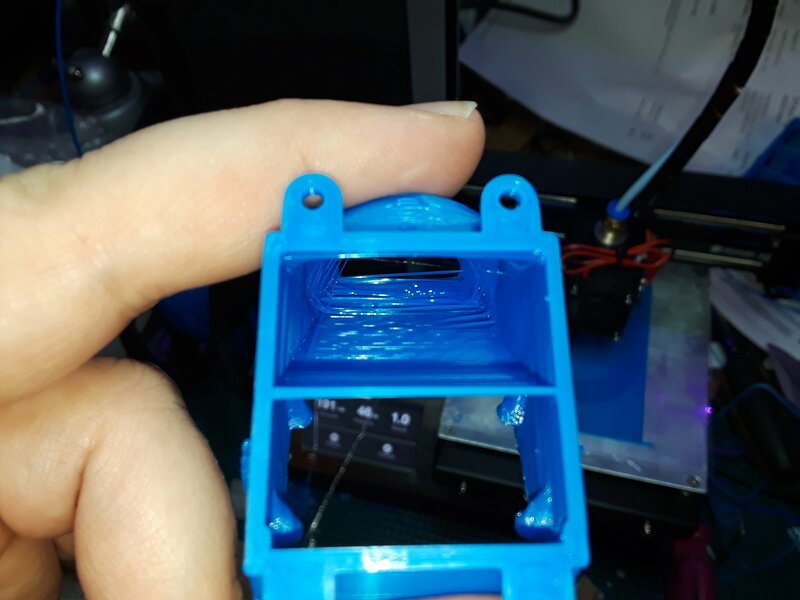 After a couple of prints like this, I heard scary noises from the fan, and upon removing it I discovered the 9v label and a ring of oil it had thrown out of its bearing. Yuck. They didn’t even leave a way to get in there and oil the bearing. I found this all suspicious. M106 S255 ran the little fan louder than the firmware default settings did. 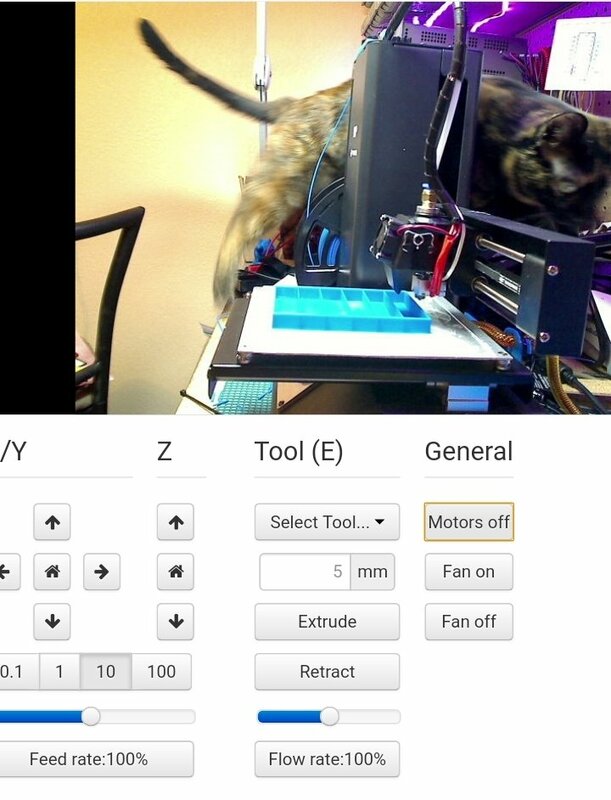 Normally if you send no g-code to override it, the fan will always run at a low speed any time the hotend is heated. It does not automatically stop. Out of curiosity I measured the voltage using a true RMS meter. I set the temperature to 190C from the front panel and the fan started shortly into the preheat (much better after changing that stupid heat block). Voltage was about 8.7v. I then sent M106 S255 and it jumped to 12.6vdc and the fan sounded……. lovely. It broke as I was trying to reinstall it so I put in a 12v fan that came on a $10 eBay E3D V6 clone. The result… The fan still runs at any speed I ask it for, so stalling isn’t an issue, but now it doesn’t self destruct at 255 / 100%. When the new blower gets here I’ll have better luck with bridges.